What is the Difference Between Fire Prevention and Fire Protection? What is the difference between fire protection and fire prevention? Let’s take a look! Like most property owners, you may be wondering how you can protect your business from fire damage. While not all fires can be prevented, there are some things you can do to prevent and protect your business from fire. But what is the difference between fire prevention and fire protection? Let’s look at these two different methods. 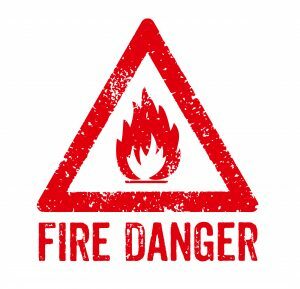 Fire prevention is essential for your business. This process happens before the fires even ignites. One of the most effective tools for fire prevention is an inspection. Regular property inspections can be used to identify vulnerable areas in your facility and, once identified, to fix them. These vulnerable areas can be things like overloaded electrical outlets, improperly maintained systems, and improperly stored materials. Once these problems have been identified, it is important to take the steps to remove the threat and to ensure it does not get to be that way again. When using regular inspections, you can work to prevent fires in your business. Fire protection is a combination of different fire safety equipment and procedures that are used to defend your property line from fire. While it is different for every company, there are some elements that should be found in every commercial facility. Fire protection often includes equipment like fire alarms, extinguishers, and sprinkler systems. Together these systems work to ensure your property is constantly protected. When combined, these systems work to provide your commercial space with the ultimate fire protection. Whether you are looking for a way to prevent fires or protect your property, Fireline is here to help. For more information on protecting your investment, call Fireline today! This entry was posted on Thursday, October 20th, 2016 at 2:15 pm. Both comments and pings are currently closed.